Set up about 1818 by Little Britiain Monthly, after being an Indulged meeting since 1810. A one-story stone and frame meeting house was built in 1816 and a burial ground plotted acrsoss the road, both of which were retained by the Hicksite branch. 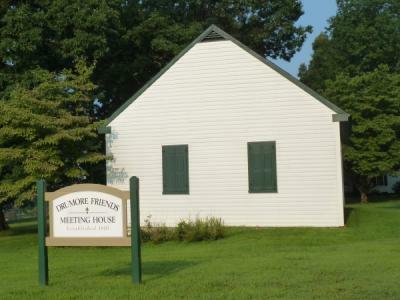 IN 1928, the trustee of teh meeting deeded the meetnghouse and the burial ground to the Drumore Cemetery Association, reserving the right to use the meetinghouse as needed. The meeting was laid down in 1936.